After the events of the two massive earthquakes that recently rocked Mexico, anxiety is running high in Los Angeles as “mega-quake” fears have been renewed once more. 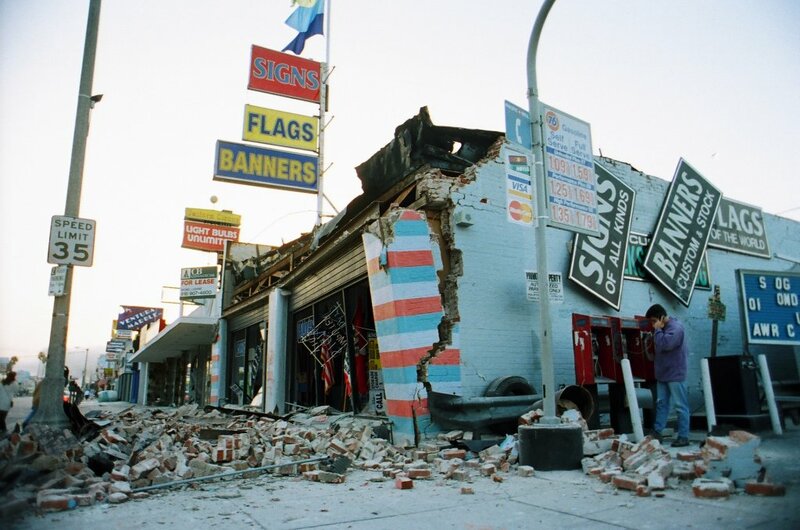 Southern California, indeed, is long overdue for an earthquake of such massive scale– the last one was in 1857, a magnitude 7.8 earthquake that shook Fort Tejon and left a series of aftershocks that continued for approximately another four years. Of course, Southern California was only thinly populated at the time, resulting in only a few deaths and a limited number of buildings destroyed. Such a tremor striking the heart of Southern California today would no doubt result in countless casualties and destruction that would take years to rebuild from. Not to mention, the San Andreas fault– responsible for many of the fears surrounding a future earthquake– runs directly under areas with densely populated cities such as Los Angeles. The shaking experienced would be some of the worst in the area in over one-hundred years, with the fault running extremely shallow and affecting almost the whole of Southern California. It would result in almost 2,000 casualties, going down as one of the worst natural disasters in U.S. history. Such an earthquake would decimate freeways, unretrofitted buildings, and aqueducts, as well as displace hundreds of thousands of Southern California residents. Most of the expected deaths would come from rampant fires and collapsed buildings, with much of the region being struck by thousands of landslides and a widespread loss of power lasting up to two or three days. Add the fact that this could all happen in the next 30 years, and this scenario suddenly becomes a whole lot more urgent. So how should California residents prepare for such a devastating possibility? The first thing to know is that a major earthquake is, indeed, likely going to happen at some point in your lifetime. Estimates vary– one study puts the likelihood of a 6.7 magnitude or higher earthquake at over 99% in the next 30 years, while another puts it at a much lower 19%. Whatever the case, the fact remains that a major earthquake can happen at any point in the next one-hundred years, making the time to prepare now. It would be advisable to check if your home is already retrofitted, or in other words, modified to be made more resistant to earthquakes, as such a modification will greatly increase your likelihood of surviving an earthquake. Also, make a plan with your family in the case of a future earthquake– the last thing you want to do during an earthquake is be unprepared and risk being separated from your loved ones. Create an earthquake kit– fill it with non perishable food, drinking water, clothing, etc. that you think you will need in the immediate weeks following an earthquake– chances are, access to resources will be limited, and creating such a kit could possibly save you and your family’s life during a possible mega-tremor. During the earthquake itself, do not run out of the building– if objects are falling, the last place you want to be is right underneath them. Instead, take cover under any desks or protection you can find and cover your head and neck. Do not fall for the controversial “triangle of life” method, which has been repeatedly disproven by experts and would likely be more likely to endanger your life than save it. Avoid any windows, as shards of broken glass can easily puncture your skin. If you are outdoors, try to avoid any heavy objects (buildings, trees, cars, etc.) and head for an open area. Of course, even with all of the dangers earthquakes pose to Southern California, however, it is still important to keep in mind that your chances of dying in an earthquake are low. Yes, it is entirely possible that up to 2,000 people could die in a 8.2-sized earthquake, but 2,000 people out of the entire population of Southern California still equates to just 0.008 percent. In contrast, it’s far more likely that you will be brutally murdered than die in an earthquake. The more important thing to worry about is how to prepare for such an event and the likely prospect of rebuilding from the lasting damage. So don’t worry, L.A. residents– simply prepare for any future earthquakes to come, and you should be just fine. Hi Brandon, being from (and still living in) a city that crumbled to the ground in a series of earthquakes not too long ago (Christchurch, New Zealand), I can totally relate to this. I can say, that I don’t think you can ever really be prepared for something like that to happen, but it’s definitely worth trying. Luxuries like clean water, sanitizer, toilet paper, and car chargers practically become currency overnight. We now always keep more around than we need, because inevitably, there will be someone that has not prepared themselves, and you have no idea how long you need it for. The thing that struck me the most was that it was not the first few days or weeks that were the hardest, it was the months/years of aftershocks and uncertainty. You know everyone is suffering, the whole city was grieving and dealing with it differently, some outright angry and shouting from the rooftops, some choosing to try and get back to as normal a life as possible with varying degrees of success, and eventually it all starting to take its toll. That’s the stuff people forget to try and prepare for, the long game. Resilience is the real investment when it all comes down to it (I think anyway! ).